Girls' winter jackets are a fairly easy item to find in stores, particularly when summer is ending and retailers begin to introduce their fall and winter inventory. However, with a bit of careful shopping, parents can find quality designer jackets for a fraction of the price! Before this article delves into the best girls' jacket designers, it is important to note that when to buy your child's jacket is the real key for finding a great deal. Jackets are best bought after the fall/winter seasons end. This is the time when a store's merchandise goes on sale, not because the jackets aren't up to par in the quality department, but merely because the store needs to stock its shelves with the new summer designs. If you're looking to buy excellent designer jackets, February already begins to hail in the spring lines, so you're likely to find several jackets available on the sales racks. Of course, you'll typically be buying jackets in future sizes, not your daughter's current size. 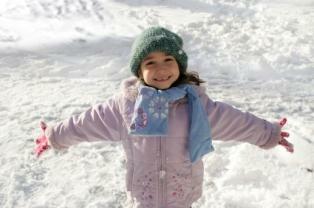 Shopping for girls' winter jackets online can help you access a broader array of size options. Whereas an individual store may be out of a particular size, you have a much greater chance of finding the item on the company's official website. As more and more parents discover the perks of online shopping, this tip will decrease in veracity. So, take advantage of the online sales by getting on a store's email list and be one of the first to be notified of upcoming or current sales. Nearly every children's store will carry girls' jackets, so your best bet for finding these clothing items at the very lowest price is to hit up places like Target or Walmart. Though most people have at least one of these two stores within reasonable driving distance, you can beat the packs of shoppers and ensure that your item is crisp, plastic wrapped, and not previously used by purchasing online at the official Target and Walmart sites. However, when you're purchasing from large surplus giants like Target and Walmart, the quality and designs of their apparel are very basic and frequently inspired by higher end designers. So, if you are looking to shop for apparel with flair, there are several notable stores that offer great clothing and wonderful sales. If your girl is just a tiny tot, Janie and Jack is a great place to get very cozy classic looks for the tasteful child. Although this company does not offer merchandise in the lower price category range, by keeping up to date with its sales, you could be purchasing an eighty dollar jacket for as low as thirty dollars. These sales items are highly coveted and very much worth the effort of stalking the Janie and Jack website. The North Face makes incredibly soft, high-quality outerwear, typically for older kids. If your child hits within the right age category, she probably won't find a better made practical jacket for the moderate to high price range than one at North Face. The real downside to North Face, however, is that the company website features the seasonal collections for purchase in the eStore, but sales items are notably not present. This is because North Face has a fair distribution. You can consult the official North Face site for stores nearest to you, and then call around to see if these nearby retailers feature any North Face jackets on sale. Still, if you want the best regardless of sale prices, then purchasing directly from North Face at standard pricing will yield you the best winter jackets for your daughter. If you're looking for an upgrade over the simple Target styles, but you don't want to pay boutique prices, your best bet is to consult a local department store like Macy's or JCPenney. Although sales tend to be grim due to the high volume of shoppers, if you're purchasing a year or two or even several years ahead, you have an excellent chance of obtaining great deals.